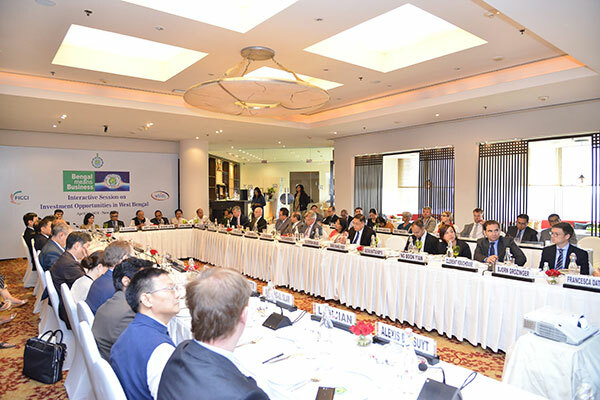 The Interactive Session with Ambassadors / High Commissioners and Senior Diplomats to India was organised in New Delhi on April 10, 2018. The session was represented by nearly 30 Countries including Australia, Bhutan, Czech Republic, Hungary, Oman, Poland, Russia, Saudi Arabia, Malaysia, Singapore, Sweden, Thailand, Spain, Sri Lanka, Uzbekistan, Republic of Korea, Myanmar, France, Bangladesh, Italy, Macedonia, Lithuania, Estonia, Paraguay, Germany, Japan, China, Belgium, Slovenia, etc. 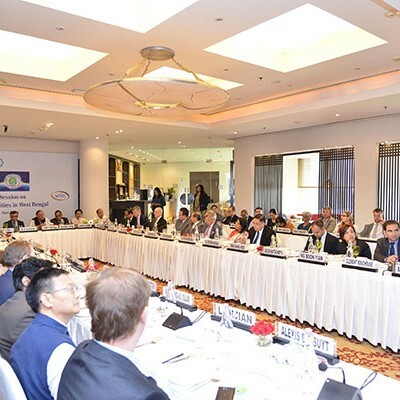 Over 13 Ambassadors and High Commissioners from Saudi Arabia, Czech Republic, Thailand, Spain, Sri Lanka, Uzbekistan, Oman, Paraguay, Australia, Republic of Korea, Malaysia, Myanmar and Estonia attended the interactive session. 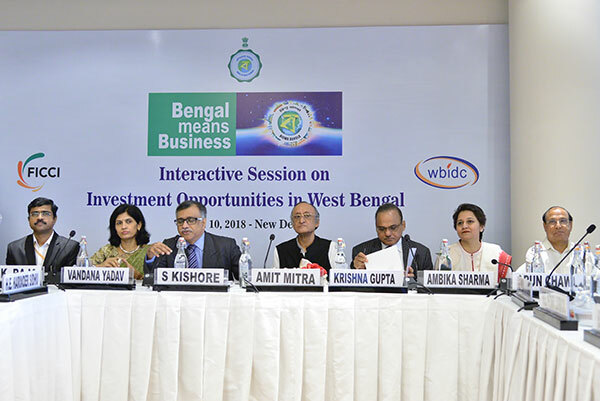 Dr. Amit Mitra, Hon’ble Minister-in-Charge, Finance and Industry, Commerce & Enterprises Departments, Government of West Bengal delivered the Keynote address. 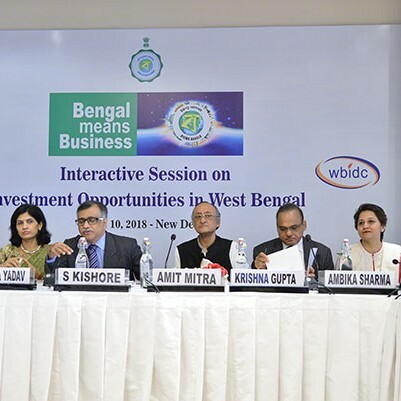 Senior Secretaries from Government of West Bengal who attended the session were Dr. S. Kishore, IAS, Principal Secretary, Industry, Commerce and Enterprises Departments, Dr. Krishna Gupta, IAS, Principal Resident Commissioner, Government of West Bengal and Ms. Vandana Yadav, IAS, Managing Director, WBIDC.